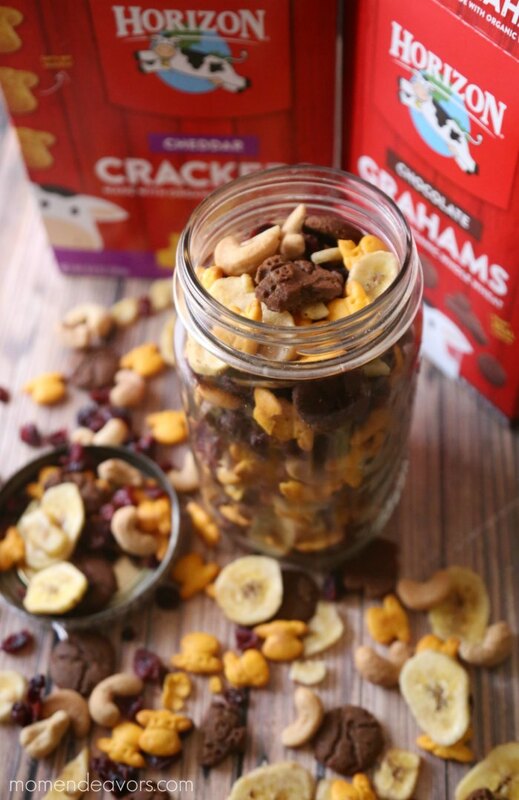 This tasty, sweet & salty kids snack mix is perfect for packing in lunch boxes and having ready for the after school munchies! It’s “Back to School” here, which means I have school lunches, snacks, and meal planning on the brain! This will be our first year with all three in school every day (so bittersweet). Two of the boys will need snacks with them during the school day and two will need lunches (we do half-day Kindergarten). Then, all three will need after school snacks ready! So, I’ve been trying to stock up on a with a variety of wholesome options and making some things in advance. 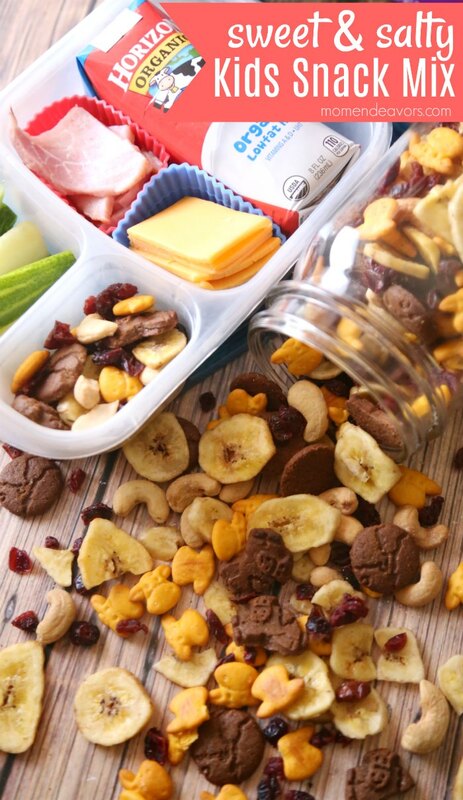 One thing I like to prep is a good snack mix that can go with the kids who need a morning snack, can go in lunch boxes, or just for when they come home ravenous in the afternoon. This sweet & salty snack mix is one example, as it’s a hit around here! 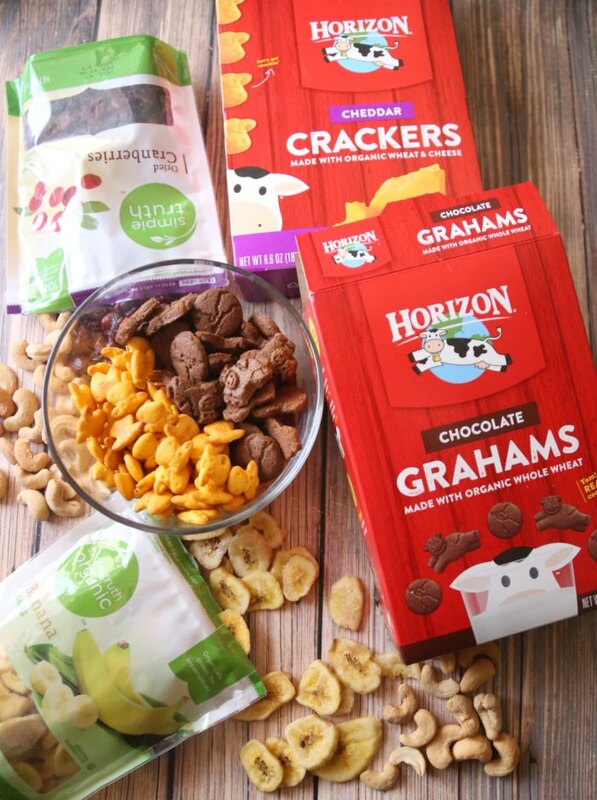 It combines a few of our favorite Horizon products with some dried fruit and nuts. *Note – if there is a nut allergy concern at your child’s class/school, you can easily omit those or swap out for another fruit or seeds. To make the mix, I just combine roughly 1 cup of each of the items and store in a large jar! 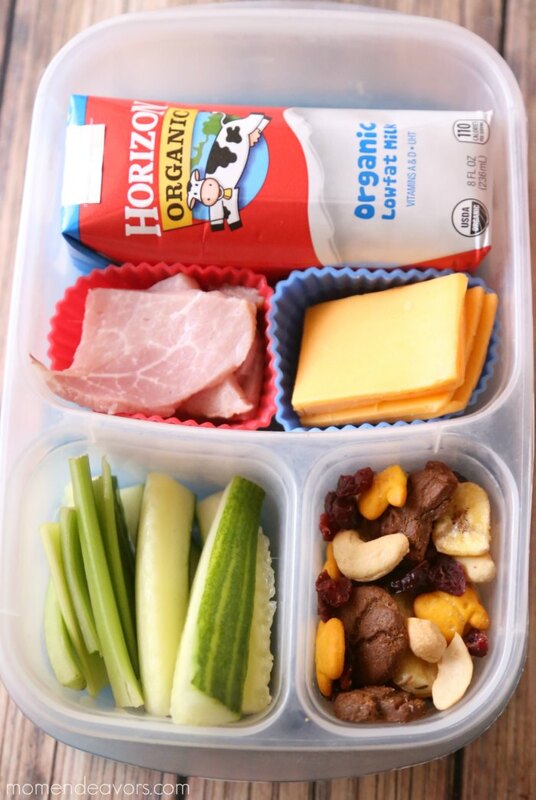 I love how easy this is to make and that it’s full of things that I can feel good about giving the kids in their lunches (as well as having on hand for afternoon snacks). 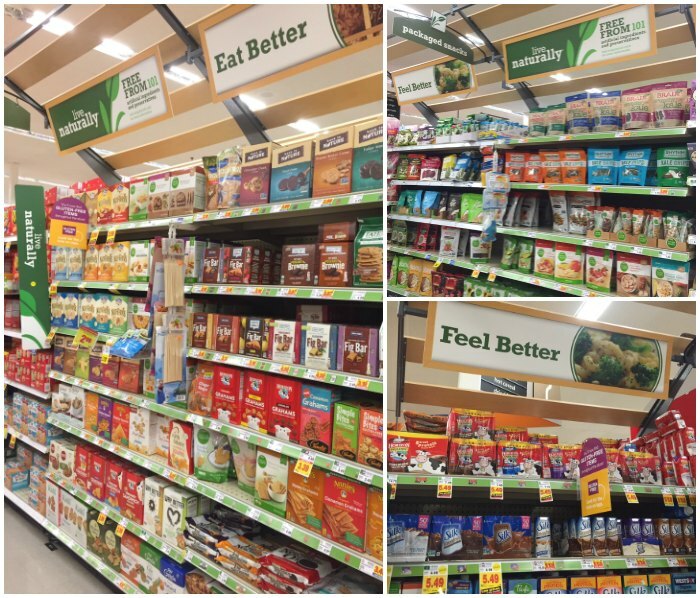 I also love the Natural Foods Department of our local Kroger chain (Fry’s Food & Drug here in Arizona) that makes it easy to find wholesome products like these! My local store has a great selection of Horizon products! 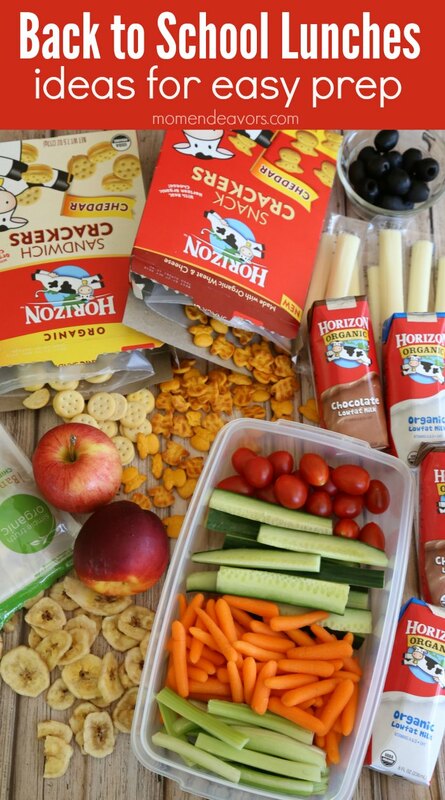 So while you’re doing your back-to-school shopping, be sure to head over to the Natural Foods Department at your local Kroger retailer to stock up on good ingredients for lunches and after school snacks! This little snack mix works great as a side dish in lunches too! We even just brought it on a road trip and it was perfect! For even more back to school lunch ideas, be sure to check out our easy school lunch prep ideas post! This sounds delicious!! Perfect for school and work!